Alicia Alonso’s splendor still radiates throughout the world of ballet today. A star so brilliant, she has captivated audiences worldwide. Even now at the age of ninety, she continues to encourage the dreams of young dancers who seek to follow her footsteps. Amanda, a young and aspiring ballet dancer, has dedicated all her efforts into preparing for her exam, the first step towards being accepted into Alicia Alonso’s ballet company. Viengsay is one of four celebrated dancers of the National Ballet of Cuba. She has already achieved the status young Amanda dreams of one day attaining, and day after day she continues to evolve under the watchful eye of Alicia Alonso, the legendary ballerina in whose shadows she now has to find her own rightful place. Between Amanda’s aspirations and Viengsay’s relentless perseverance, the character of Alicia Alonso gradually comes to light: her fragile appearance being rapidly overshadowed by her youthful mindset and passion. The achievements of the Prima Ballerina Assoluta resonate in the dance steps of her younger compatriots, enabling them to envisage the horizons they themselves can one day strive for. Eileen Hofer was born in 1976 in Zurich. She has worked as a press attaché for a film festival as well as a journalist for daily and weekly news publications since 2005. She was the chief-editor of a Swiss magazine for two years, before embarking on a career as a self-taught filmmaker. Hofer’s first short film Roots (2008) was selected at 80 festivals (Locarno, Clermont-Ferrand, Palm Springs among others) and was awarded over 10 prizes. The Mourning Of The Merry Stork (Rotterdam, Angers, etc.) won the Suissimage/SSA New Generation of Filmmakers Prize for Best Short Film in 2010. Soap Opera in Wonderland received the jury’s special mention in Amiens. Her first feature-length film He Was A Giant With Brown Eyes was written, directed, and produced over the course of nine months. The film’s world premiere took place at the Rotterdam International Film Festival in January 2012. In April 2012 it was also selected at Visions du Réel and IndieLisboa, and went on to screen at 20 more festivals. It was released in Swiss cinemas in May 2012. 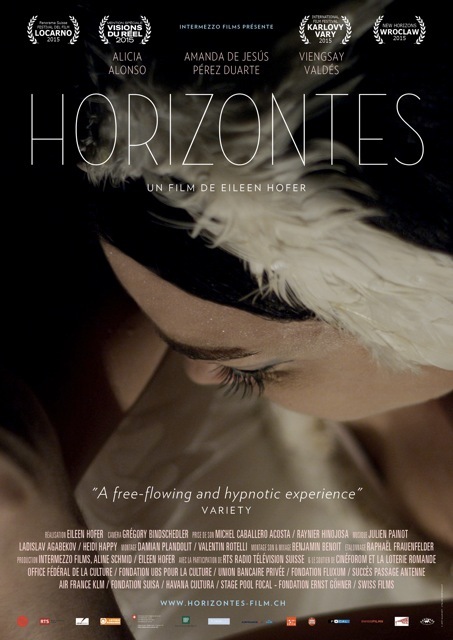 After three years of work and several trips to Cuba, Horizontes had its world premiere at Visions du Réel in April 2015. Alongside this documentary, the filmmaker is finishing a short film, which was also shot in Havana. Our Sea (Nuestro mar) tells the story of one of the island’s other great ladies: the singer of Buena Vista Social Club, Omara Portuondo. I have always admired strong characters, the phoenixes that rise from their ashes. I have great respect for people who overcome difficulties, not merely out of obligation, but out of passion, out of a vital necessity. Their stories motivate me to pick myself up when I am down. Three years ago, when I first heard about this extraordinary dancer, I was immediately intrigued by her incredible fate. And as I learnt more about Alicia Alonso’s life, I was instantly drawn to this woman, who by overcoming her increasing blindness has scaled mountains to reach the sky. At times frightful, at times outstanding, Alicia Alonso in my eyes is one of a kind: one of the best dancers in the world, a genius in all her rigor, comparable to a Maurice Béjart or Yves Saint Laurent in the world of fashion. Where does she draw her strength from, making her outshine all other dancers and become one of the greatest names in the world of dance? This woman has accomplished the unthinkable by dancing – first with limited vision, then almost blind – throughout her 60-year long career. 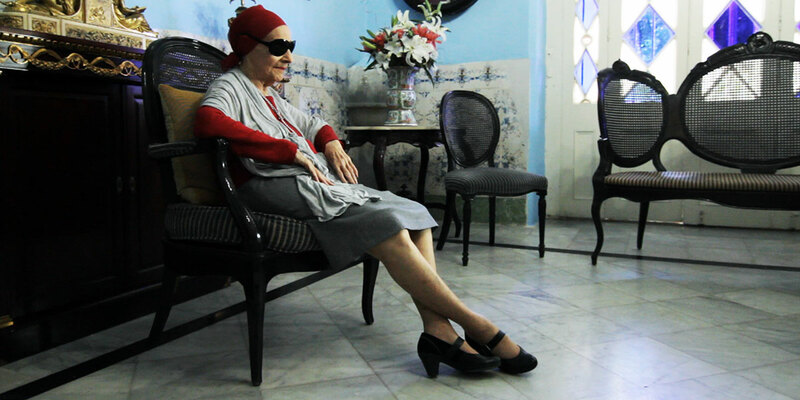 Her incessant determination has inspired dancers such as Viengsay Valdès and Amanda de Jesús Pérez Duarte – the two other protagonists of my film – and even beyond the confines of ballet and the borders of Cuba, she has become a universal example for courage and achievement. I can completely identify with the message her journey conveys: we are lucky to be alive; it would be a shame to sit back and do nothing, watch our destiny pass us by, without ever daring to take the bull by the horns. Ballet as a national sport? This art form has been democratized in Cuba thanks to the efforts of Alicia Alonso and the dancers and teachers of her generation. Every young girl today dreams of one day becoming Giselle, as they all grew up watching the ballet performances on TV. Horizons paints the portrait of three women of three generations. Each with their own body: the youngest still determined to master the pirouette, the other, mesmerizing audiences with her skill, abilities and virtuosity, while the eldest deeply laments the decay of her most valuable tool: her body. These three dancers are proof of their determination and shed light on the culture of Cuba. The three women’s common goal? To always strive above and beyond the limits of their horizons.